It's been 3 months since the launch of Huawei's flagship smartphone 'Honor 8' launched in China and today we have the device arriving in India. At an event scheduled to happen in New Delhi at 11:30 am, Huawei Honor 8 is all set to be unveiled for the Indian audience, along with a set of other devices (yet undisclosed). The Honor 8 comes in three storage variants - two 32GB variants with 3GB and 4GB RAM, and a 64GB variant with 4GB of RAM. It's being speculated that Huawei India will launch with 64 GB + 4 GB variant in the country. Let's take a look at the 10 most important features on this phone. 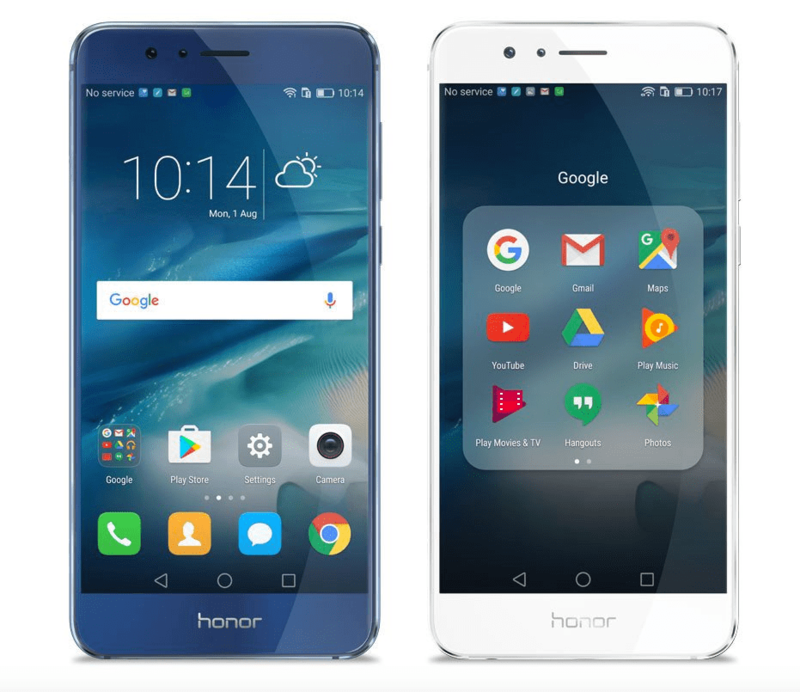 The Honor 8's slick body is developed with heavy 2.5D glass on front screen and an aluminum alloy on the back. The device features an ultra-narrow bezel design and rounded edges for a seamless feel. Weighing 153 gm and at 7.45 mm thickness, the Honor 8 brings forth a pretty sleek design to the table. Huawei's own semiconductor company HiSilicon, which is based out of Shenzhen, China has developed the CPU for Honor 8. The model number Hisilicon Kirin 950 CPU features a Cortex A72 processor with 2.3 GHz frequency and a Cortext A53 processor with 1.8GHz along with an i5 co-processor which is well suited for Honor 8's multitasking and seamless gaming applications. Powered by Android's latest 6.0 version (Marshmallow) OS, the Honor 8 smartphones brings EMUI 4.1 interface to the device. The 5.2 inch wide screen of Honor 8 comes with a 16:9 aspect ratio coupled with a multi-point touch-sensitive touch screen that has a resolution of 1920 x 1080 pixels with 423 PPI pixel density. A 3000 mAh ithium-polymer battery inside the Honor 8 device features about ~360 hours of standby time and ~ 9-hour online video streaming. Featuring the V/2A fast-charging technology, the Honor 8 reaches a 47% (from 0%) charge in just 30 minutes. Coming with a 12 megapixel dual lens camera and an 8 megapixel selfie snapper, the Honor 8 smartphone lets you capture photographs with flash LED enabled, an f/2.2 main and an f/2.4 front aperture, supports FHD video recording, digital zoom and brings a plethora of camera features like HDR mode, night shot, face detection etc. The Honor 8 has compatibility with Wi-Fi 802.11 and can create a hotspot for up to 8 devices. There's built-in support for Bluetooth 4.2, USB 2.0 and Type-C and GPS as well. Users can unlock the Honor 8 in less than 0.4 seconds with the improved fingerprint recognition features. Moreover, it supports NFC tag read/write, P2P transfer and HCE-based mobile payment. That's all there is to know about the Honor 8 smartphone. As for the pricing - rumors suggest that the smartphone will be priced at ~ Rs. 29,999 putting it in the race against the likes of OnePlus 3 and LeEco Le Max2. What are your thoughts about the new Huawei smartphone? Share with us in comments below.